Displays iTC sales reports in Notification Center. Is there a better alternative to DailySales? Is DailySales really the best app in Finance category? 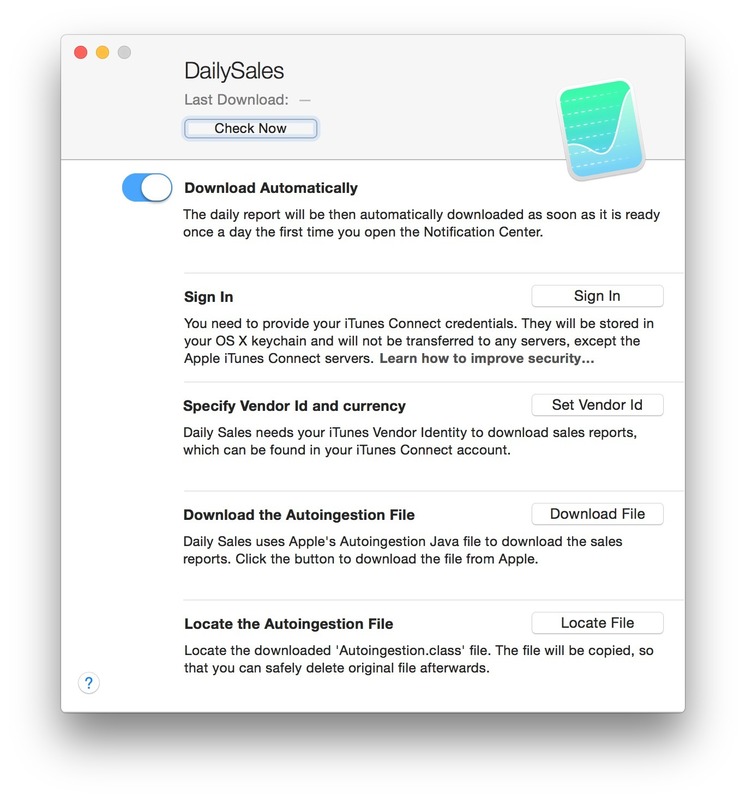 Will DailySales work good on macOS 10.13.4? 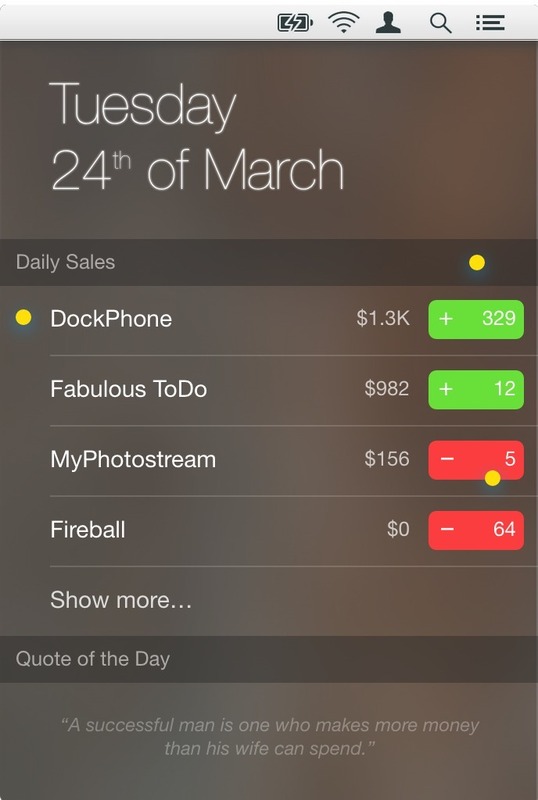 DailySales displays your iTC sales reports right in your Notification Center. Note: Currently available for $5.99. Note: You sometimes may need to log out of OS X and in again to activate the updated widget. DailySales needs a review. Be the first to review this app and get the discussion started! DailySales needs a rating. Be the first to rate this app and get the discussion started!